Are you moving to or from Tonbridge Kent and need a local removals company? Transporting all your worldly possessions is a very important job, and choosing the right company to do it is a very important decision to ensure peace of mind. We provide a professional and trustworthy range of removal services for domestic and commercial customers. Our head office is in Tonbridge, so you’ll find our local knowledge second-to-none. Tonbridge is a market town in Kent, with a population of over 30,000. It is located on the River Medway, approximately four miles north of Tunbridge Wells, 12 miles south west of Maidstone and 25 miles south east of London. Tonbridge is on the main railway line and is very popular with commuters in to London. 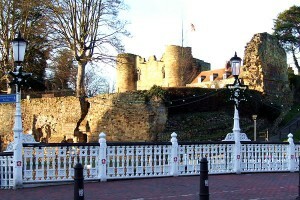 Tonbridge is home to several Grammar Schools, including The Judd School and Tonbridge Grammar School. Tonbridge School, founded in 1553 by Sir Andrew Judde, is a well respected private boys’ school in the centre of the town. The Town is also home to West Kent College and Hillview School for Girls. The many primary and secondary schools in the Tonbridge area provide a high quality of education, and this has been an incentive for many when moving to the town. The town has largely retained its ‘market town’ atmosphere and has many attractions to visitors and residents alike, including the well-maintained Castle Gatehouse, a large country park and activities based around the river. Sports facilities including an indoor/outdoor swimming pool, a leisure centre and a large sportsground are all located close to the town centre. Tonbridge also has a non-league football team – Tonbridge Angels FC. Most of the town’s shopping facilities are clustered around its high street, which runs for about one mile through the town centre. 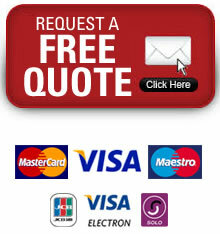 We cover the surrounding areas in Kent, East Sussex, West Sussex, Surrey and South East London.